There was a time when it was rare for an emerging hip-hop artist from the west to have any type of presence in the east, especially in New York (remember the early 90s?). But times are different and all for the better! As Crooked I is set to rock the stage at SOBs this Wednesday, May 25th, 2011, it represents that change! Hip-hop is headed towards a different route, bridging coasts and giving artist the opportunity to venture out further than their hometowns across many state venues. Crooked I is set to put his stamp in New York City with yet another great performance! 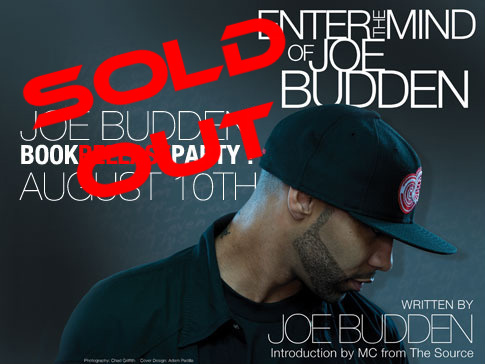 And he will be bringing his fellow Slaughterhouse brethren (which includes Joe Budden, Joell Ortiz, and Royce Da 5’9) to support and add to the feel of an authentic unified Hip-Hop show. Expect up and coming, (half Latino) MC Emilio Rojas to also rock the house, along with Horseshoe Gang and CMR. This event is sure to excite the hip-hop world, so don’t be the one to hear about it the next day, buy your tickets now! In its 25+ year history, SOB’s has hosted some of music’s most legendary and promising acts. The downtown venue has been home to artists at the height of their careers and served as a starting ground for acts on the road to stardom. Through the years, SOBs’ stage has seen countless memorable performances, from The Roots to B.o.B when he had the number #1 song in the country; from legendary acts like Kanye West and Cypress Hill and to rap phenom Drake. With such an impressive list, you’d expect any one of these artists to hold the record for fastest selling show; and that’s where you’d be wrong.